Many people are curious what unschooling really looks like. 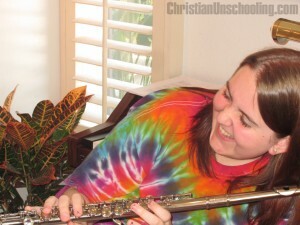 The folks over at Christian Unschooling (including yours truly) are seeking to scratch that itch with a new series of posts title “Unschooling in Action.” Photos of real, live unschoolers doing real, live unschooling are shared each week to help dispel the myths surrounding the idea of unschooling. You can share your own photo on the CU Facebook wall for a chance to have it appear in the next installment! Similarly, the blog Unschoolers’ Art Gallery is a showcase where any unschooler can submit artwork and have it appear in the gallery, alongside the works of other unschooled kids and teens. Lots of fun to browse through and even more fun to see your own stuff appear there!